David Bond of Davies Corporate Finance was recently contacted by a relatively new and fast growing business that provides fully staffed private ambulances – Jigsaw. 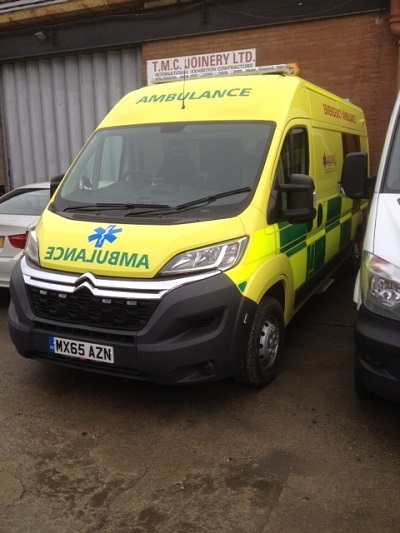 Due to increased demand for their services, they required additional ambulances to service new contracts, some of which had already been ordered and were due for delivery. Unfortunately, their existing finance provider was having difficulty increasing the current credit facility in place. Within a couple of days from the original meeting, DCF had arranged new credit facilities to accommodate 5 vehicles, with additional facilities put in place to cover more Ambulance units. Chris Percival, Managing Director of Jigsaw commented: “Purchasing additional ambulances and getting them on the road rapidly to help the public is key to what makes Jigsaw Medical the best private medical provider in the country. David Davies added, ‘we are glad that DCF was able to support Jigsaw with their expansion plans and we wish them every success with the new contracts and we look forward to supporting them for any future funding requirements. Davies Corporate Finance can react swiftly and efficiently and provide your business with the most competitive asset finance facilities available from our panel of 40 lenders. 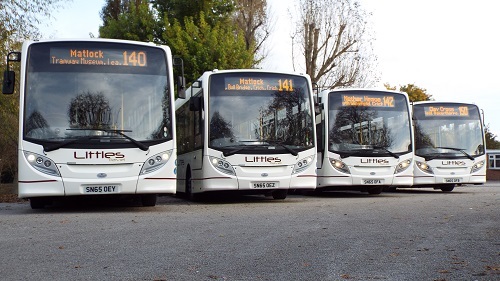 Ilkeston based Little Transport has recently taken delivery of 4 new ADL Enviro 200 buses, following them securing several new contracts via Derby County Council. The ADL Enviro 200’s are built on the 10.8m chassis with ZF Gearboxes and a 39 seat configuration. The financing of the vehicles was secured via David Davies of Davies Corporate Finance, whom has assisted Little Transport with their funding requirements over the last 15 years. Steve Well’s (Director) commented, ‘We look forward to integrating these 4 new buses into our fleet and we really would like to thank Davies Corporate Finance for their assistance throughout the purchase process. David helped us source competitive funding terms that worked well with our company cash flow’. DCF helped raise almost £200,000 to help fund the origination costs involved with a brewery . A team of experienced brewers wanted to set up a new brewery which they needed funding to complete the project. Initially the management team approached several banks who declined their applications for finance, which would have halted the entire project. DCF was introduced to the management team by their financial advisors and via our extensive panel of asset finance funders, we were able to quickly secure sufficient funding at very competitive rates. The brewery is now fully functional and we wish our client great success in their new venture. When our valued client approached us to help fund an additional commercial vehicle, their new flagship DAF CF 440 HGV with HMF 6020 Crane, we were delighted to help source them competitive funding via one of our supporting tier 1 funders, Santander. At a cost of £200k (inc vat), the asset finance facility on this new HGV & Crane was arranged within 3 working days of visiting the client and delivery took place once we co-ordinated the invoices via the 3 suppliers on this particular transaction. 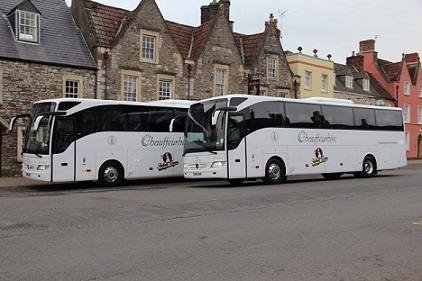 DCF was approached by a coach operator in Sussex who specialises in the Entertainment / Band Bus sector. This client was considering purchasing a £100k band bus, and with our help were able to finance this vehicle. We also transacted the deal without the requirement for a cash deposit – instead we used two of our clients unencumbered vehicles to provide the necessary security. Since assisting this new client in January, we have subsequently helped this operator purchase another band tour bus from a supplier in Belgium. An existing client of ours approached us to refinance a balloon payment relating to a coach Lombard financed. After a successful 3 working day turnaround to refinance, we were given the opportunity to fund two further Mercedes coaches (£500k value) being delivered March 15. Both coaches were approved within 48 hours via two tier 1 funders from DCF’s extensive funder panel. DCF were introduced to this family run business via their external accounts, who had been working with the business to overcome cash flow problems relating to the current invoice finance facility provide by one of the big four street banks. Following our initial consultation with them we were able to recommend a more suitable lender, who were able to increase higher percentage against factored invoices and at the same time they were able to considerable reduce the fee's associated with the facility. As a result our client can now take advantage of a higher availability of cash and at the same time reduce their overheads costs. In Jan 2013 DCF successfully placed a credit insurance policy for a prominent recruitment business in the UK, specialising in offshore and marine staff. The business has significant exposures to some of the UK’s leading marine and offshore corporations. Understandably our client wanted to offset the risk of bad debt. In May 2013 one of their largest and previously prompt paying customers entered insolvency owing more than £200,000 in unpaid invoices to our client. Our client was fortunate enough to have been insured against what would have been a catastrophic loss to a long standing and profitable ‘blue chip’ business. The case highlights the growing importance of Credit Insurance as the old adage that blue-chip companies will always pay is no longer the case. 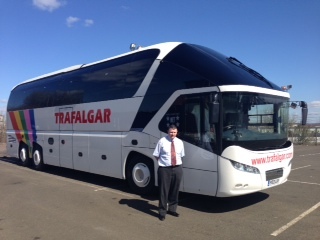 Mearns Exclusive Travel of Glasgow was introduced to Davies Corporate Finance via an existing client. Originally we were asked to assist Mearns with a used coach purchase at the start of the year. Since our initial dealings, we have continued to assist this client with several other vehicle purchases, and have introduced Mearns to a range of new funders who understand the coaching market and the aspirations of his business. 'Since our initial introduction to David, we have worked very closely with him on new vehicle purchases. David has spent many hours working with new funders to assist in the purchase of our new vehicles. He has not had an easy task owing to our high gearing, but on every occasion he has managed to help us by securing excellent rates, saving many thousands of pounds. Our a client, a Preston Based Food Wholesaler had grown the business successfully over recent years, but in doing so, they had become heavily exposed to one customer. The client approach DCF as they were concerned that if this customer was unable to pay future invoices, it could result in their own collapse. Via DCF’s panel of Credit Insurance underwriters, we secured cover on all of their customers to ensure that if the worst did happen, that they are protected from the harmful effects of a bad debt. Our client now has the peace of mind to trade with confidence and further develop their customer base. Over the last ten years, David Davies has assisted this client with a variety of funding requirements - helping with new and used vehicles and on-going equipment purchases. When we were approached to try and assist with the financing of an insurance renewal, we were delighted to help. Within a short time frame, we sourced the most competitive finance to fund the £250,000 premium renewal and arranged all of the required paperwork for the transaction. Tail Lift UK Ltd, a Lancashire maintenance company who service the fleets of many large commercial vehicle providers and users, had outgrown their current portable offices. They decided to invest in a new modular office building and Davies Corporate Finance were delighted to assist. Introduced to Tail Lift via the supplier, we successfully arranged a quick and more competitive finance offer that was also less onerous than currently being offered to them via an alternative finance provider. In March 2013 DCF was asked to review the invoice finance requirements of an existing credit insurance client which was involved in the construction sector. The business had previously been refused finance from their high street bank, and then proceeded with an alternative bank based lender who, it turned out, could not fund against applications for payment which created a catalogue of problems for our client – the bank really should have identified this at the audit stage. After an initial consultation with this company, DCF quickly identified a more suitable lender for their business and within one week DCF had secured approval to provide a replacement invoice finance facility - taking out the existing lender. Our client has since gone on to take on new contracts and grow their bottom line whilst at the same time maintain a strong cash flow position. ‘I thought my bank understood the operations within my business, but it became evident very quickly that the invoice finance facility they had provided would not work. Early discussions between Davies Corporate Finance and the private equity investor, Praetura Capital LLP -supporting the MBO of the well established municipal services provider, led to Davies Corporate successfully arranging asset backed finance in excess of £1m. Funding arranged from a variety of finance providers was key in assisting both the ultimate client and Praetura in successfully transacting the MBO within required timescales. “Working with Davies Corporate Finance allowed us to secure this transaction within a challenging time-frame, utilising a variety of funding sources which suited our needs as we were keen to avoid using a sole lender, Dave Davies and his team absolutely delivered on this deal"